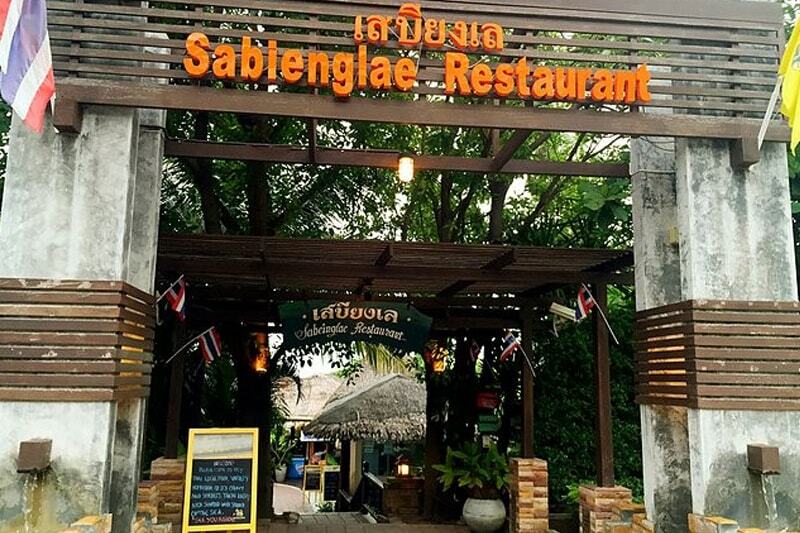 Sabienglae Restaurant in Lamai Beach is an outstanding local Thai restaurant. It serves first-class cuisine in an easy-going setting right by the beach, with remarkably low prices given the quality. 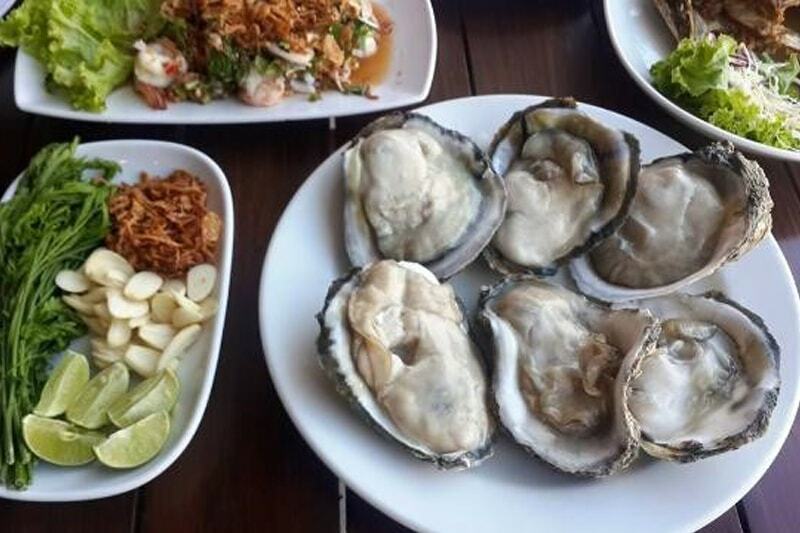 Although there are at least two other restaurants around Koh Samui which have the same name (at The Wharf Samui in Bophut and on the outskirts of Chaweng), they are not part of a brand and the Lamai restaurant is the original and best of the bunch. 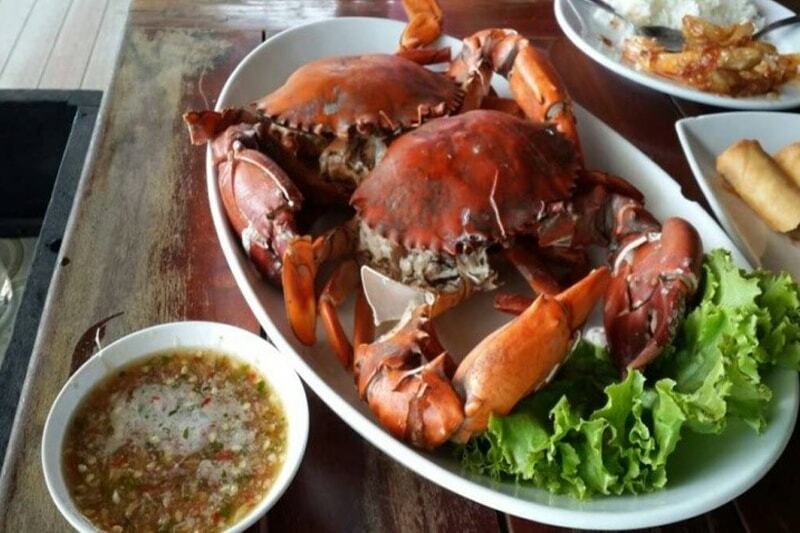 The restaurant is found between the main ring road around Koh Samui (Route 4169) and the beach just south of the renowned Hin Ta and Hin Yai rocks. Entering under the illuminated sign by the road, you pass the fish tanks where the live seafood is stored before finding the restaurant proper. It is quite a rough-and-ready building, with a palm thatch roof supported by bare concrete pillars and wooden tables and chairs set out on a bare concrete floor. At the far end is a wooden deck with steps leading down to the beach.